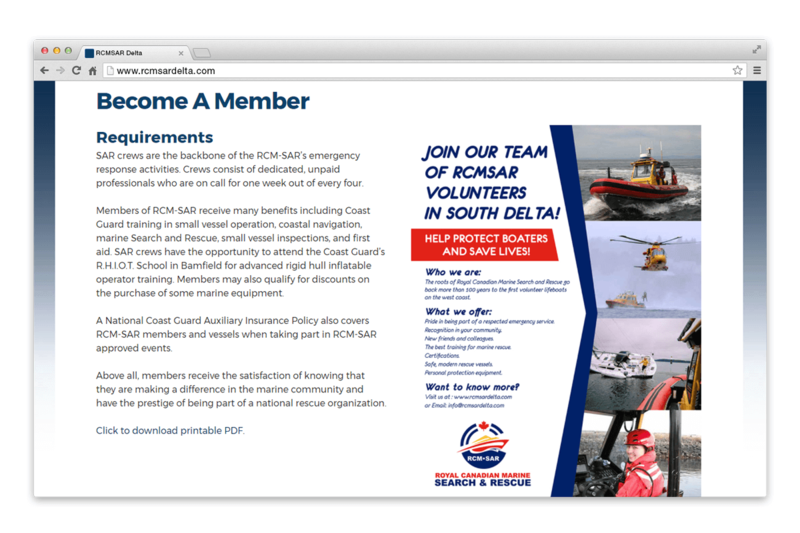 Delta Marine Rescue Society | NetClimber Web Design Inc. 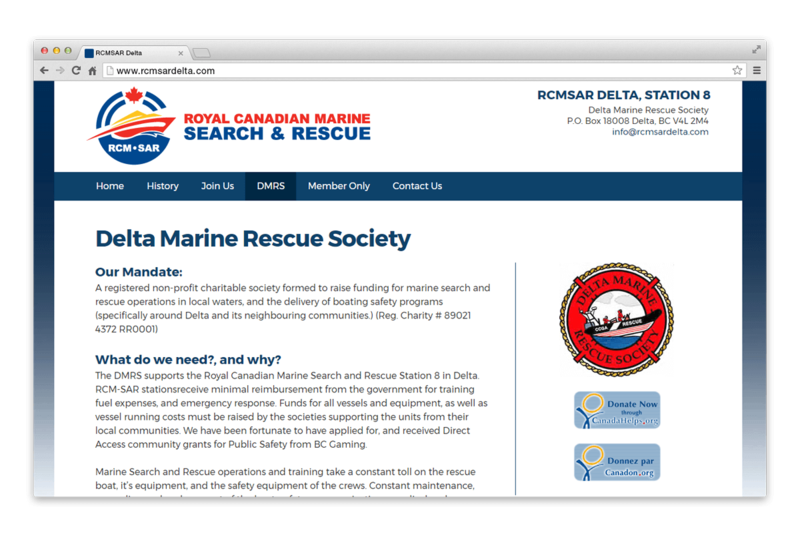 The Royal Canadian Marine Search & Rescue Society – Station 8 Delta – is a volunteer society located in Ladner. They have a strong membership that complete training through hands-on and online methods. They also deliver Boating Safety programs to the community. 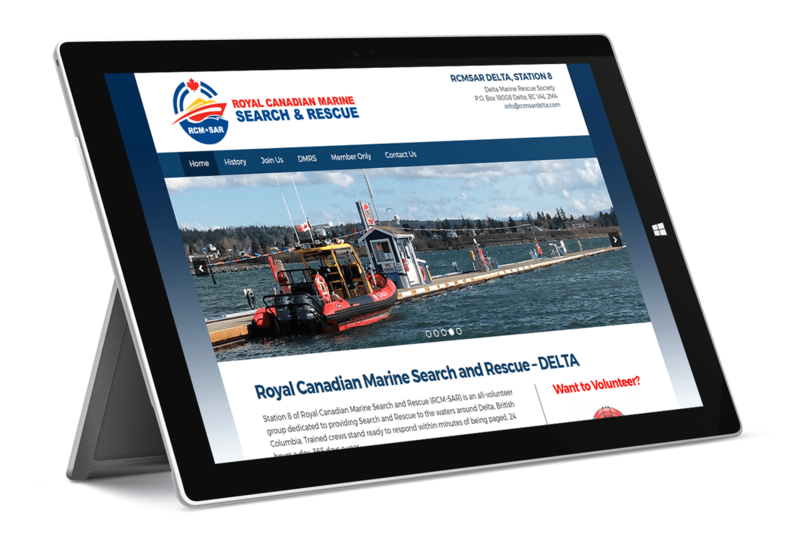 RCMSAR needed a website that delivered their unique content to the public, as well as a platform for online member training. Through a series of forms, using the Gravity Forms plug in, we built online quiz areas that allowed the administrators to mark and process completed tests. 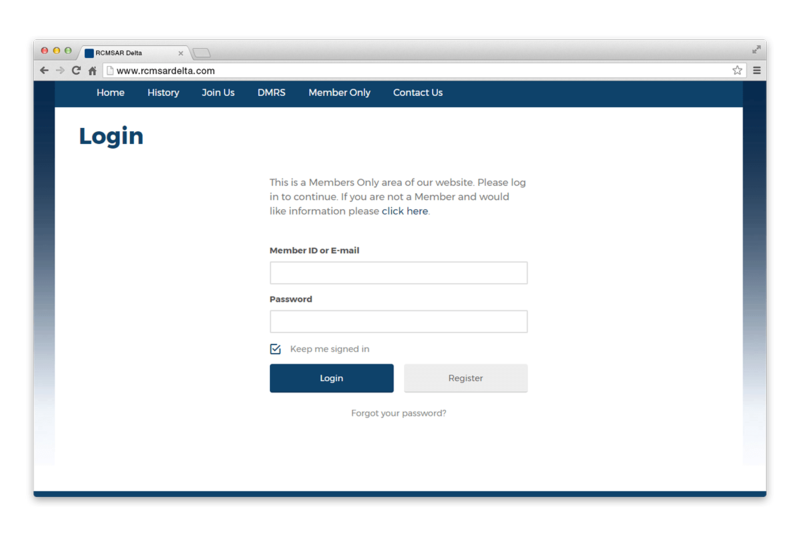 This required a private log in area and membership management. By modifying one of our custom-made themes, NetClimber built RCMSAR Delta a site and the various online quiz forms, as well as handling the logistics of getting everything set up to work smoothly.